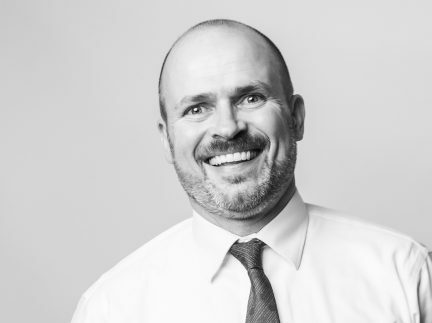 Patrick Louis-Vuitton, head of of Louis Vuitton’s special orders. Luxury fashion is often associated with film, music, and art, but less so with something a little rougher around the edges: sport. The parallels between athletics and haute couture abound, though—extreme dedication, seamless teamwork, impeccable technique. 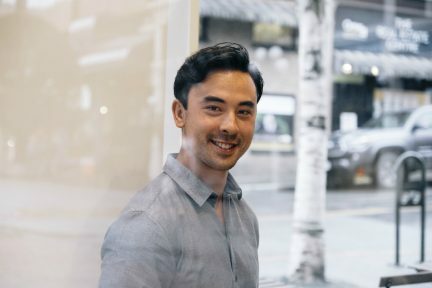 It is perhaps no surprise, then, that some of the world’s best fashion houses have expanded in this direction. 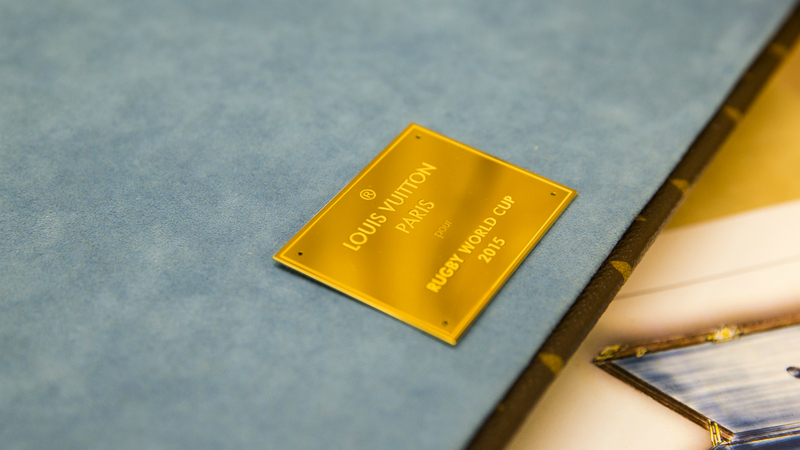 This year, to commemorate the 8th annual World Rugby Cup, Louis Vuitton designed a carrying case for the sport’s greatest prize: the Webb Ellis Cup. 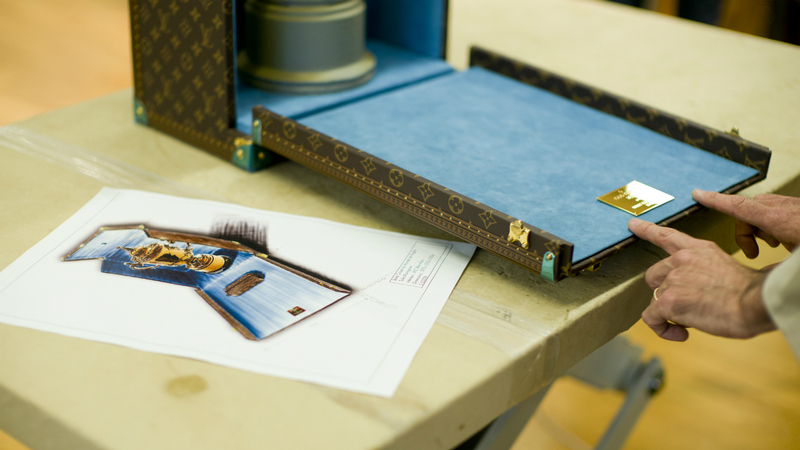 The special-order travel case was handmade in Louis Vuitton’s 150-year-old Asnières workshop, located near Paris and famous for an array of custom creations, including a portable tea set for the Maharajah of Baroda and a foldout trunk-bed for African explorer Pierre Savorgnan de Brazza. 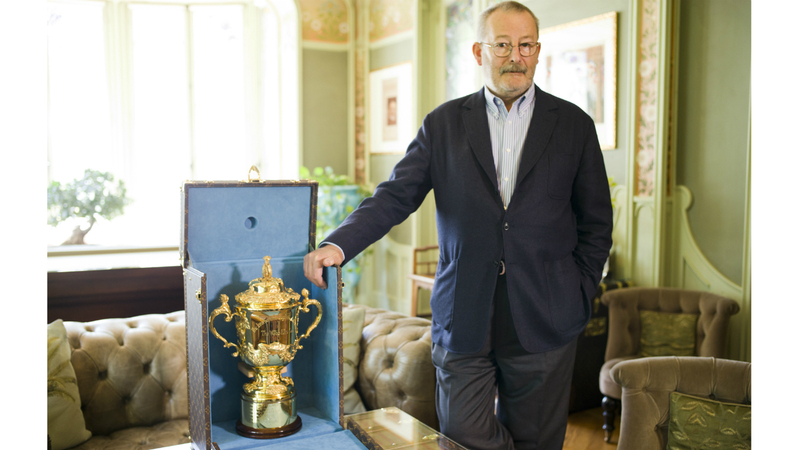 And while the Webb Ellis Cup case is Louis Vuitton’s first association with rugby, it is not the brand’s first dip into the world of high-calibre athletics. The Asnières workshop created the trunk that encases the silver ewer of the America’s Cup, which, dating back to 1851, is the world’s oldest sporting trophy; in more recent years, the workshop custom designed the 2014 FIFA World Cup trophy case. 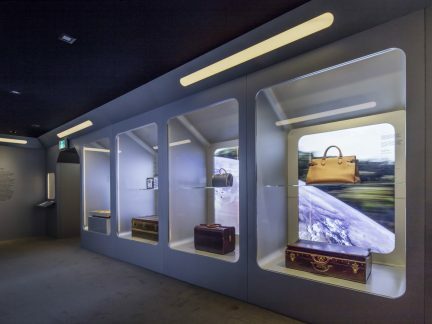 Louis Vuitton also produced a limited-edition punching bag set with storage trunk, mat, stand, and gloves, all designed by Chanel’s Karl Lagerfeld last autumn in celebration of Louis Vuitton’s iconic gold and brown monogram. 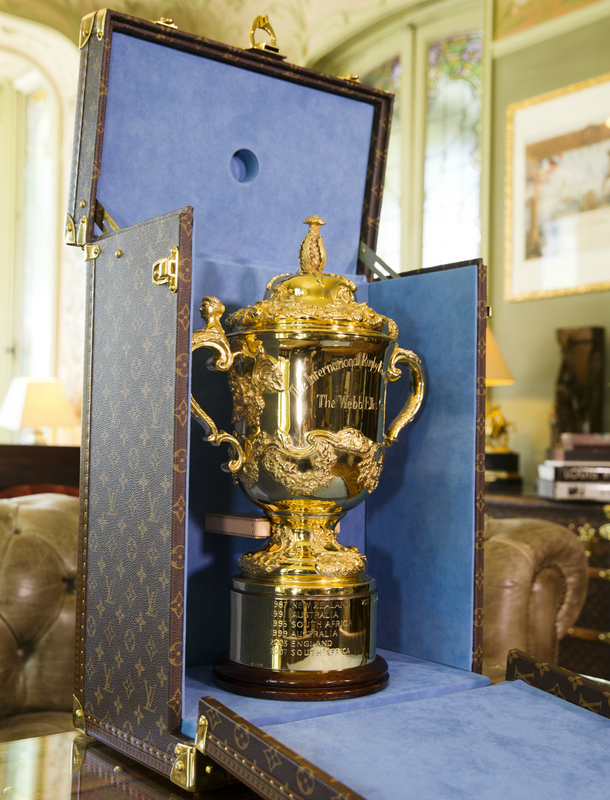 The 2015 Rugby World Cup is being held in England from Sept. 18 to Oct. 31, with the Louis Vuitton case making its debut at the tournament final on the 31st in Twickenham. World-class rugby is headed to Vancouver, as well; the city begins its four-year commitment to host the men’s World Rugby Sevens Series at BC Place in March 2016. In addition, women’s and men’s sevens rugby will be part of the Summer Olympic Games for the first time next year in Rio de Janeiro. All in all, an exciting time for the sport, and by extension, for fashion, as well. Photos by Mazen Saggar LOUIS VUITTON MALLETIER.